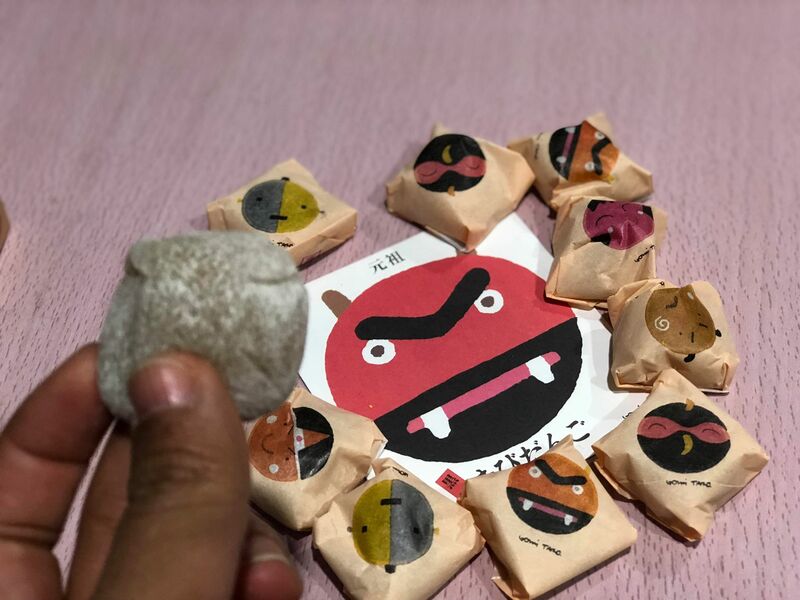 Have you ever heard about the story of Momotaro (桃太郎)? Momotaro is Japanese famous folklore. The words “Momotaro” literally means “peach boy”. The story is about a boy who comes from a peach (momo). He is a gift from heaven for the old lonely couple. At the age of 15, he is destined to defeat the devil from Onigashima (鬼ヶ島) island. For his journey, his mother made him 3 special rice cake (Kibidango; きびだんご). Along the way, he met a dog, a monkey, and a peasant. He shares his rice cake and be friends with them. Long story short, he defeated the devil and save all the prisoners of the devil. He then comes back to his parents and gives them treasures he found in the devil castle. Interesting story, right? 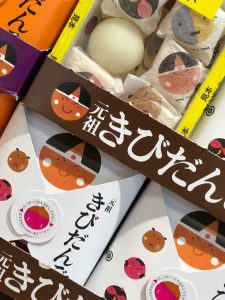 The story said to be originated from Okayama prefecture thus the special rice cake; Kibidango; is a famous delicacy from Okayama. Kibidango is made from rice flour, sugar, and starch syrup. Worry no more as the Kibidango from Koeido is halal certified. 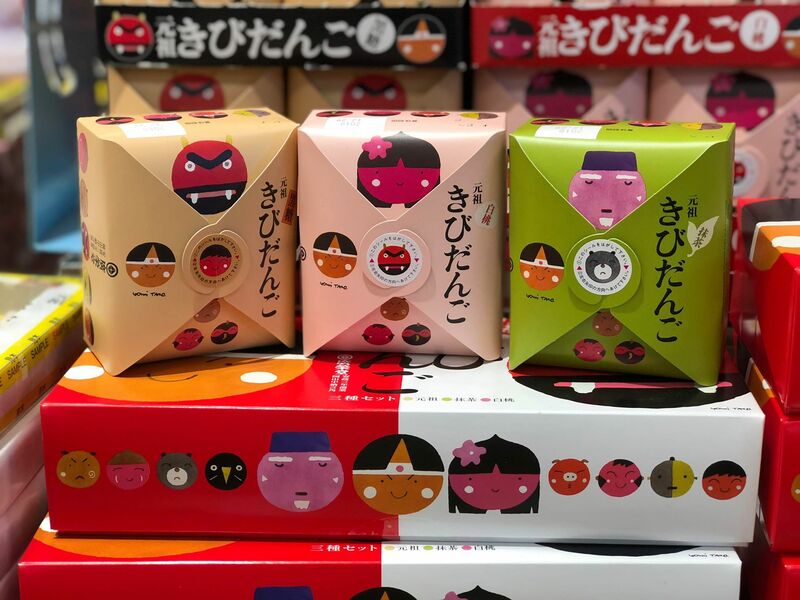 The halal Koeido Kibidango available in 8 flavors: Ganso (original), Kokuto (brown cane sugar), Kaieniri (with sea salt), Kinako (soybean flour), Hakuto (white peach), Genmai (brown rice), Kohaku (red and white), Mukashi (old days). It is a perfect souvenir to buy for your sweet tooth friends. We really like it because its so chewy and has perfect proportions of sweetness. 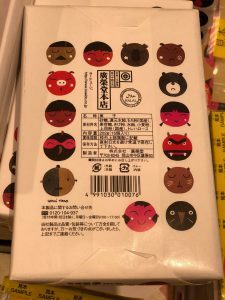 On top of that, the packaging is really cute with the Momotaro character draws on it. You can get it at Okayama Station souvenirs shops. 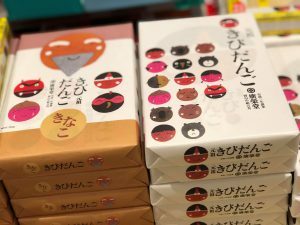 If you can not squeeze Okayama to your travel schedule, you can order through their online shop at http://www.koeido-onlineshop.jp/ic/cat-001?p=2.